Jeromy Sullivan, Port Gamble S’Klallam Tribe chairman, has felt conflicted about the old mill site in Port Gamble. While the mill had been a source of jobs for those in the area, including tribal members like Sullivan’s father, it has left toxic waste and creosote pilings across the bay from the reservation and Point Julia. 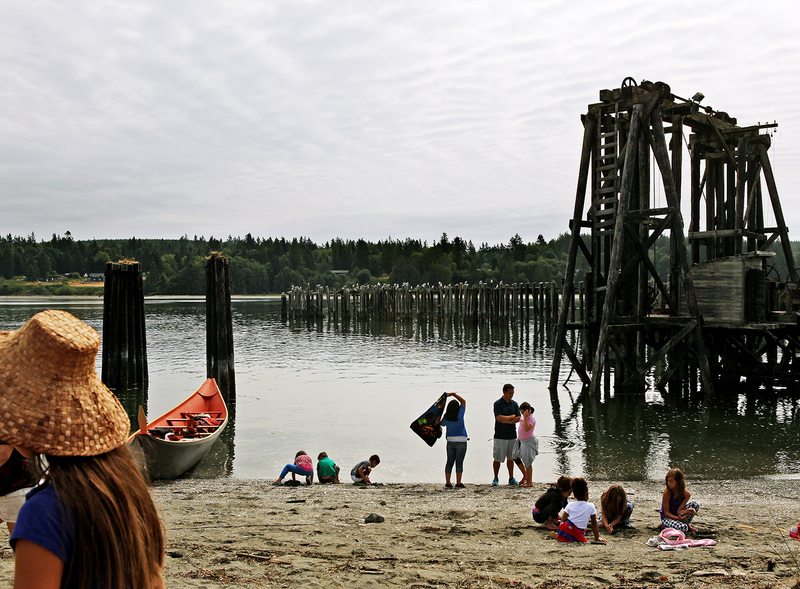 Tribal members and friends gather at the closed mill site in Port Gamble to bless the bay. The mill closed in 1994, although major cleanup begins at the end of next month. The state Department of Ecology and Pope Resources will begin cleanup August 22, according the tribe. Sullivan said it has felt strange to him that the site has not been blessed and prayed for, which the tribe changed Thursday morning. The mill site and bay cleanup will include removing of about 70,000 cubic yards of contaminated sediment and wood waste, a derelict vessel and 6,000 creosote pilings along with overwater structures. It is the biggest creosote piling removals in state history. 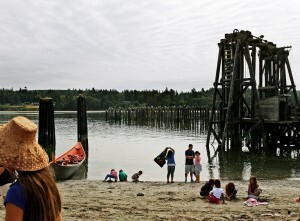 A Kitsap County Superior Court judge recently tossed out a lawsuit that would have forced the state to share the cost of cleaning pollution from Port Gamble’s former mill. 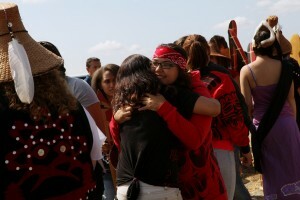 Friends say goodbye after the bay blessing Thursday, July 23, 2015. The cleanup will take about two years, with the first year being the south portion of the former mill. Piling removal and cleanup on the north area of the site will take place the second year. While cleanup is taking place there will be increased water traffic. On average, at least three vessels will be needed on site at any one time. Vessels are not to be on or come too close to the Point Julia side of the bay where the Port Gamble S’Klallam Reservation is. The tribe will hold community events and celebrations at Point Julia during the cleanup.